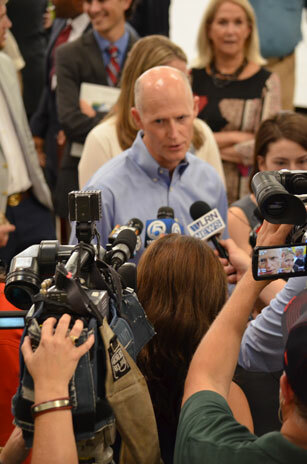 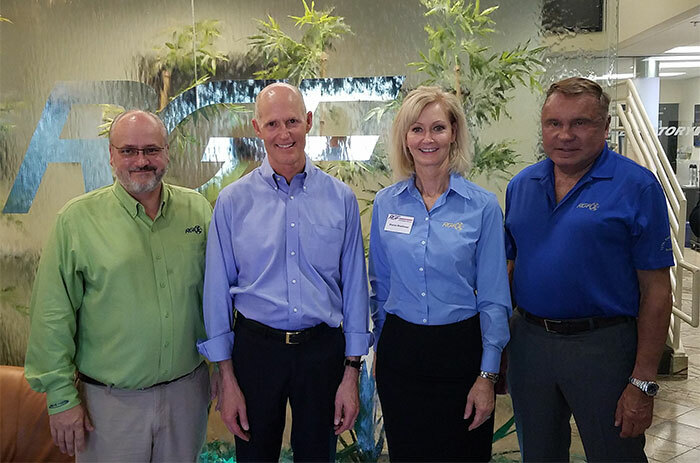 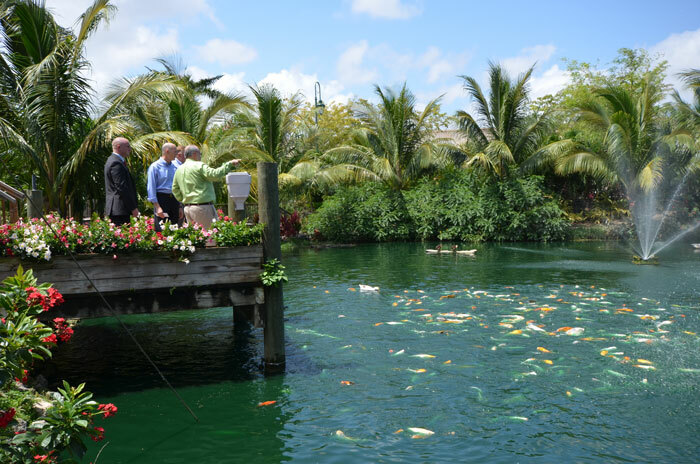 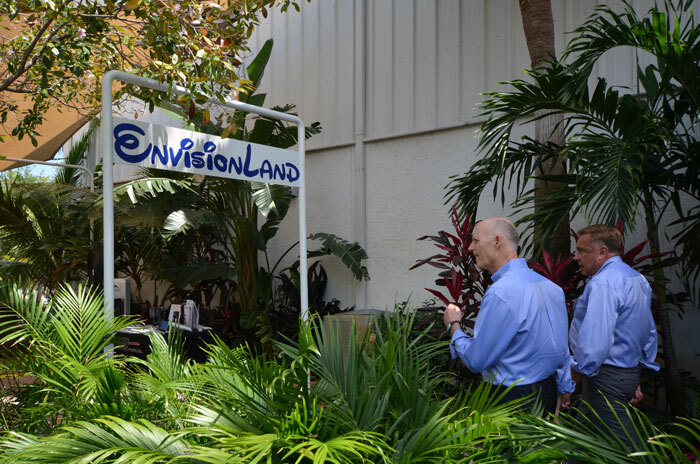 Florida Governor Rick Scott visited RGF Environmental Group, Inc. during his “Fighting for Florida’s Future” tour. 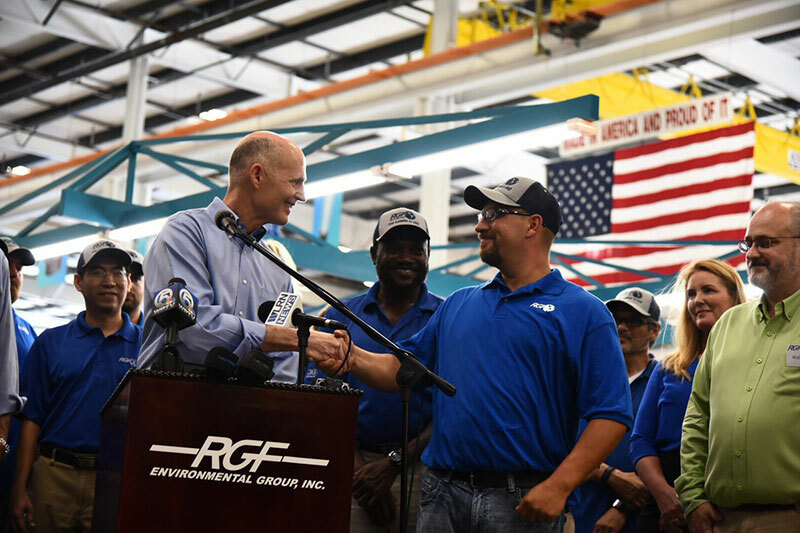 A global manufacturer headquartered in Riviera Beach, RGF has created more than 50 new jobs over the past four years, currently employs nearly 130 Floridians, and is actively seeking new hires to fill 25 work stations. 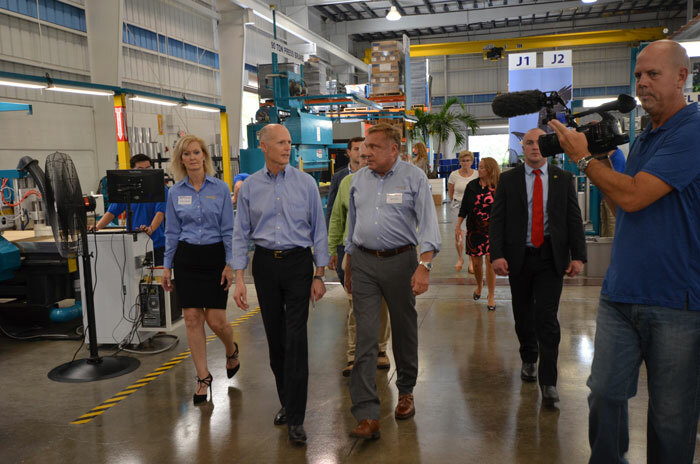 The company has aggressive plans to expand its business in the US and globally. 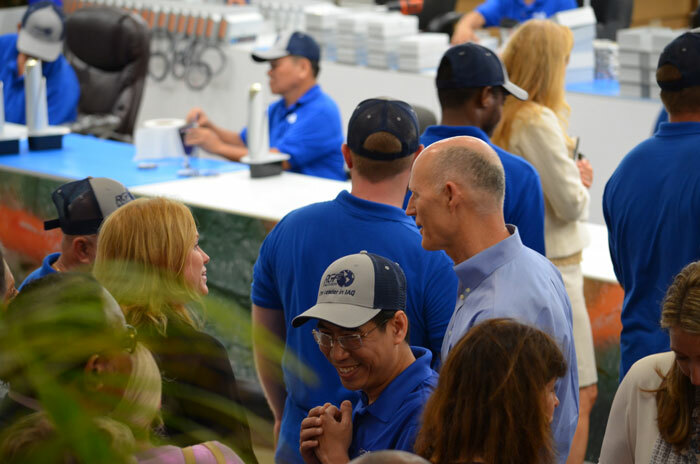 The company exports to 33 countries and has received numerous one-on-one trade consultations from Enterprise Florida over the years. 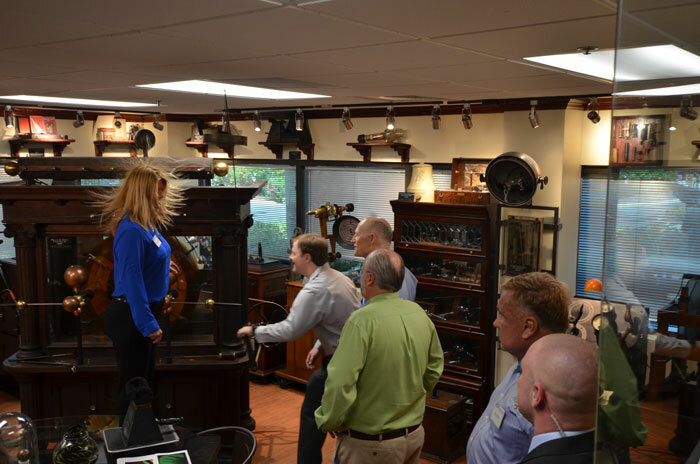 RGF has also participated in EFI trade missions to China, India, Mexico, South America, South Korea, Taiwan, Philippines, Singapore and Malaysia. 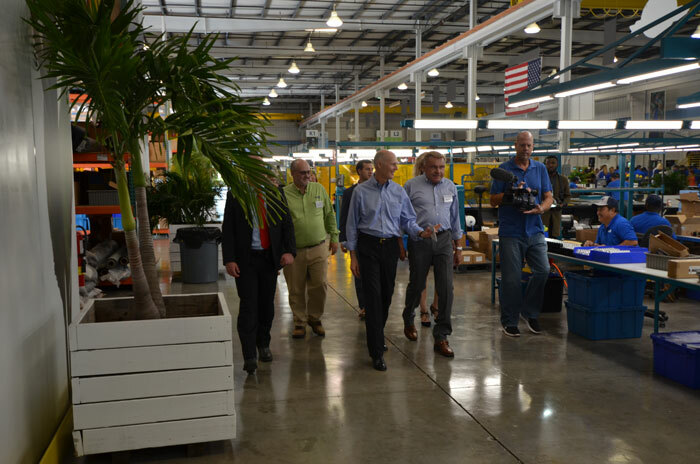 EFI is the only international trade and development program in Florida, and this partnership has allowed RGF to connect with growing business opportunities on a global scale. 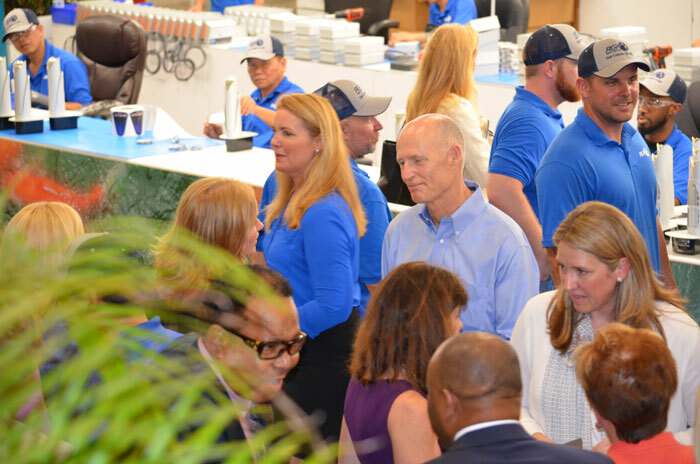 RGF manufactures and produces air, food and water purification and sanitation systems for homes, schools, office buildings, hotels, cruise ships, food processors, hospitals and industrial water treatment systems. 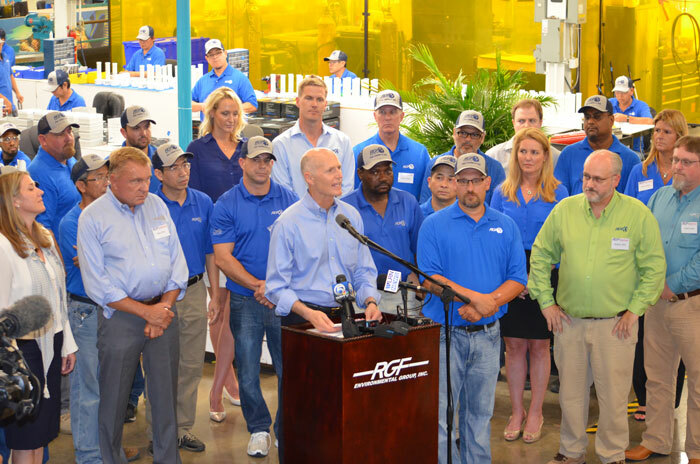 RGF has also saved more than $65,000 in taxes since the permanent elimination of the sales tax on manufacturing machinery and equipment that Governor Scott championed. 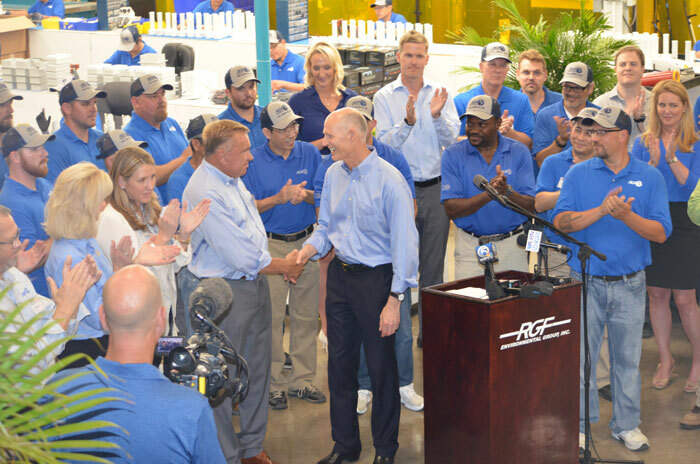 These savings have instead been used by RGF to hire and train new employees, and to become a totally vertical company with the unique distinction of manufacturing in Florida and exporting products to China.